Winter, spring, summer or fall – this is where the adventure begins. 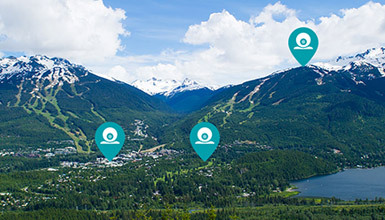 Explore the Village, find your accommodation, discover Whistler's arts and culture venues and map out your next outdoor adventures on the trails with a myriad of Whistler maps. 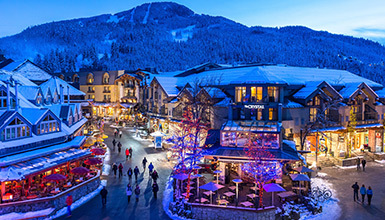 Discover all the amazing activities in Whistler, from heart-pumping outdoor adventures for the whole family, to luxurious spa visits, to a lively arts and culture scene. 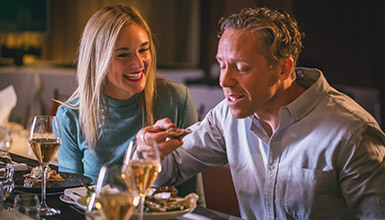 Whether you dine in or out, satisfy your cravings with restaurants serving everything from casual bites to award-winning cuisine. 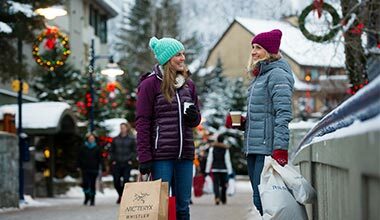 A perfect mix of world-class and home-grown local shops, you’ll find clothing, art, souveniers and everything in between at Whistler’s shops. 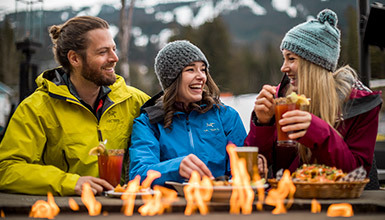 In Whistler, we après-everything! Refuel and refresh after your adventures, then keep the vibe going with a lively nightlife scene in the Village. Check the weather and snow conditions in the alpine and the valley with webcams located on Whistler and Blackcomb Mountains and in Whistler Village. It's easy to walk to restaurants, ski lifts and accommodation in the Village, plus use the Valley Trail or transit to explore lakes, parks and neighbourhoods. Choose your perfect accommodation from a wide selection of full-service hotels, convenient condominiums and ski in, ski out townhomes. 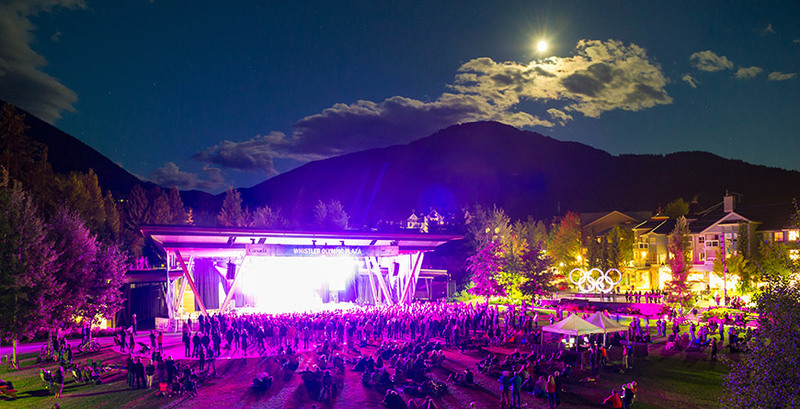 Our insider's guide to evening entertainment in Whistler gives you the goods on must-do après and after-dark things to do including kid-friendly events, free outdoor concerts, delicious dining experiences and more. 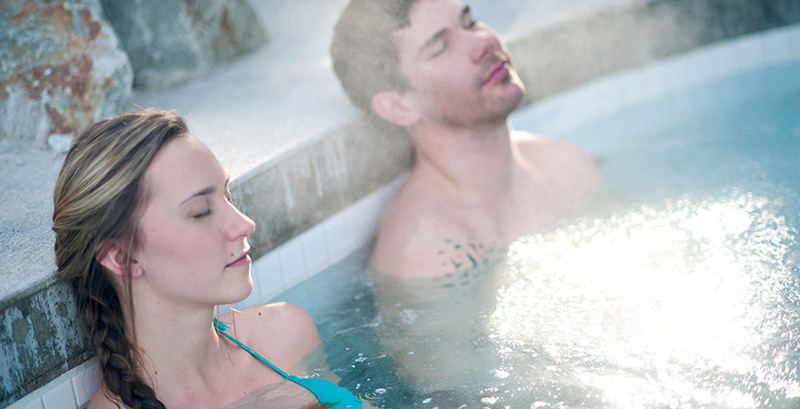 The best thing about Whistler? The variety of things to do that don't involve skis or snowboards. 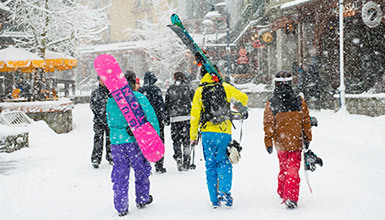 Here's an insider's guide to Whistler for non-skiers (and recovery days) with plenty of suggestions for things to do off the slopes.